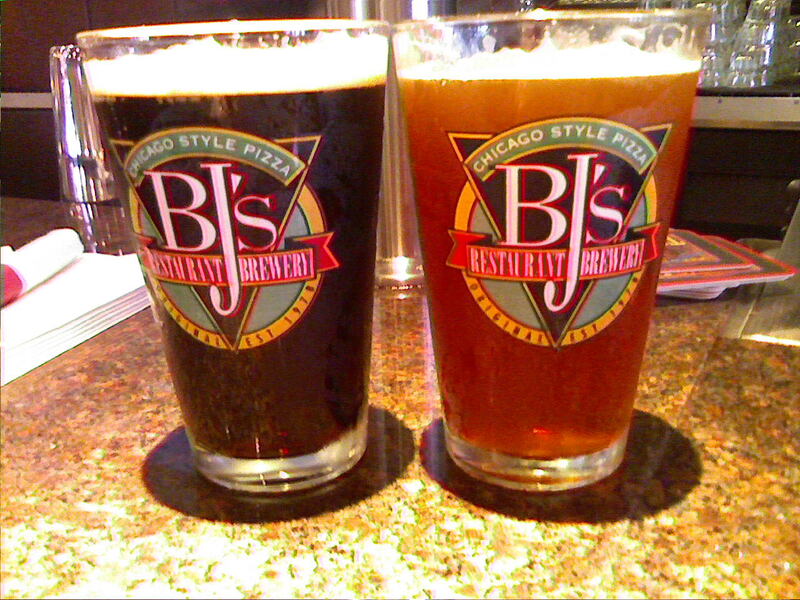 We’ve wandered into BJs Brewhouse in Laguna Hills, Calif. for a bite to eat and to taste a few beers. The one on the left is mine — the PM Porter, the one on the right is Beer Buddy’s. It’s a special right now, Owen’s IPA. More details when I get to a computer — too hard to type on my phone.